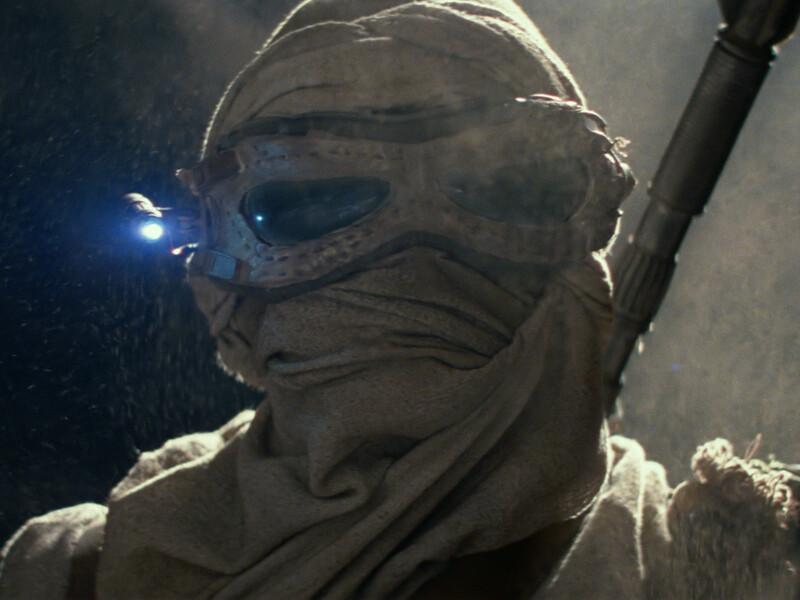 American Cinematographer‘s New Star Wars Issue – Exclusive Preview! 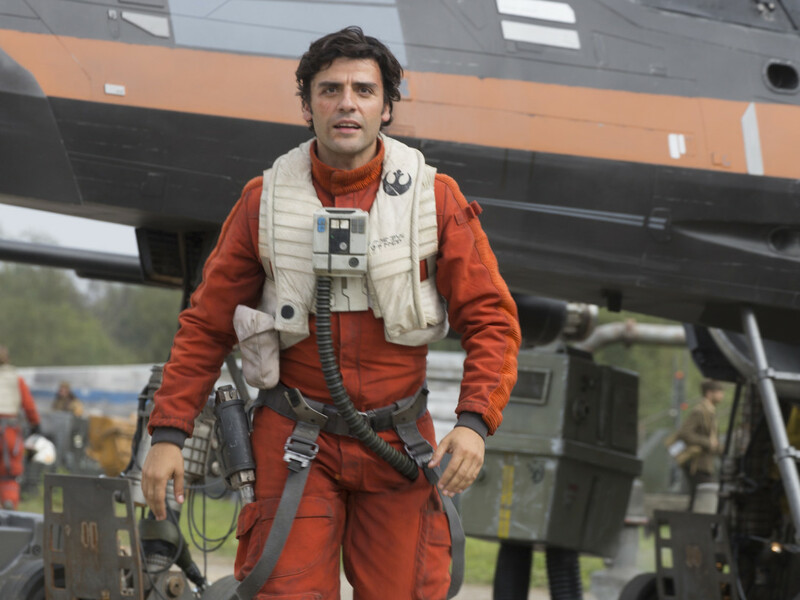 Get a sneak peek of the February issue's Star Wars blowout -- plus some key insights published only at StarWars.com. In keeping with American Cinematographer magazine’s detailed coverage of the original Star Wars trilogy, the Special Editions, and the prequels — and in celebration of the launch of an all-new era in live-action Star Wars films and the record-breaking theatrical release of The Force Awakens — we’ve dedicated the entirety of our 96-page February issue to that gorgeous galaxy far, far away. 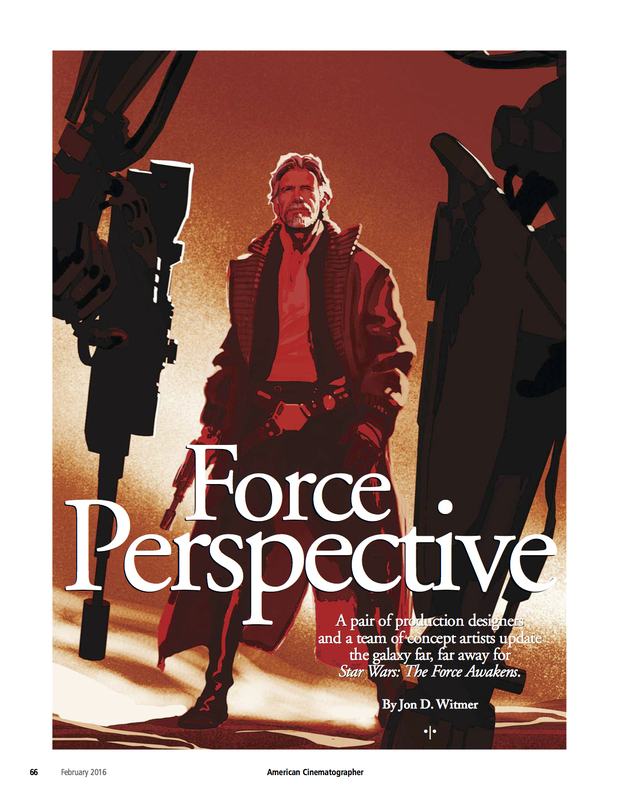 The issue — which is illustrated throughout with a trove of production stills, behind-the-scenes photos, and concept art — hits streets at the end of this month, and in addition to a preview of what’s inside, I’m here to offer an exclusive look at some choice quotes that we weren’t able to squeeze into print. 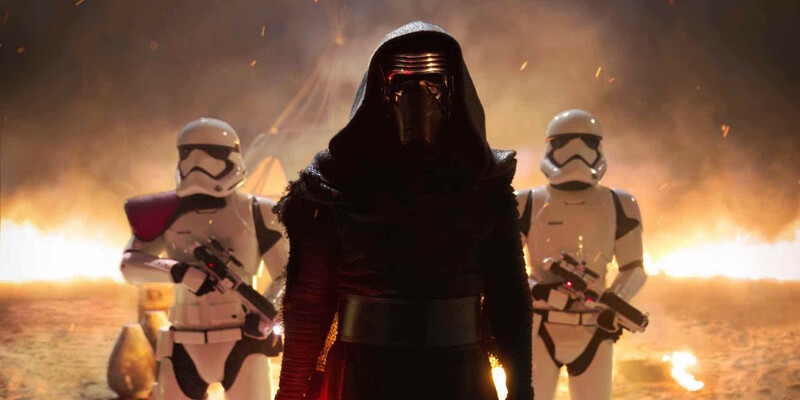 The majority of the issue, of course, goes to The Force Awakens, with four features and four sidebars that detail everything from the cinematography and visual effects to the producing and directing. The adventure begins with a firsthand account of AC’s visit to the set and tour of the production at Pinewood Studios, and from there we spotlight the work of cinematographer Dan Mindel, ASC, BSC, and his crew. 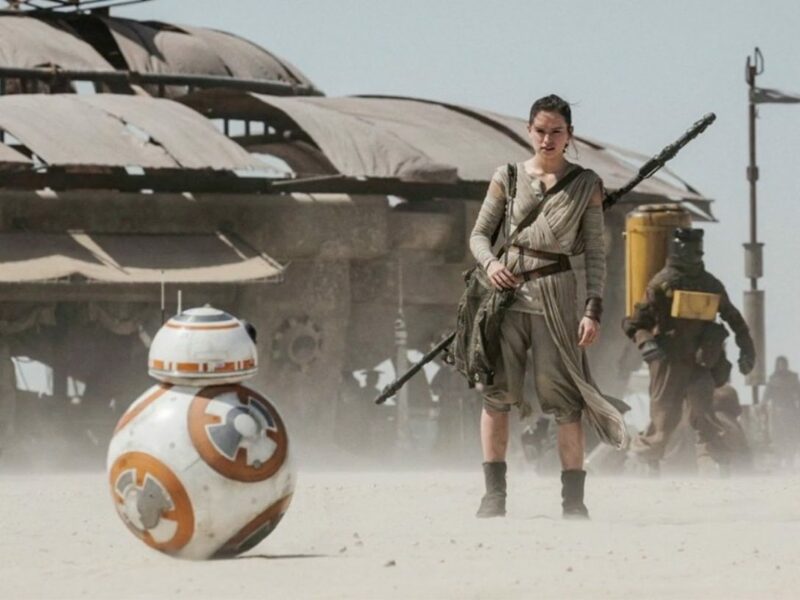 Rey (Daisy Ridley) survives on Jakku in the opening image of AC’s article about Dan Mindel, ASC, BSC’s contributions to The Force Awakens. 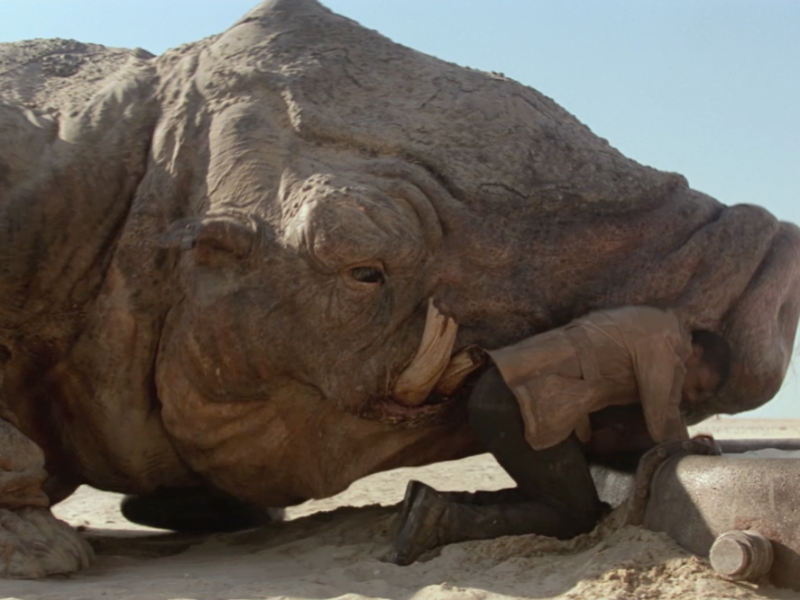 Our other features include an “Art of” style piece that incorporates interviews with concept artists Doug Chiang and Christian Alzmann, as well as co-production designers Rick Carter and Darren Gilford; and a detailed Q&A with visual-effects supervisor Roger Guyett. Also included are interviews with producer and Lucasfilm President Kathleen Kennedy, who offers a bit of technical information about the making of Rogue One: A Star Wars Story; 2nd-unit cinematographer Bruce McCleery; and Industrial Light & Magic visual-effects supervisor Pat Tubach. Concept artists Christian Alzmann and Iain McCaig collaborated on this Han Solo design, which graces the first page of AC’s story on the concept art and production design of The Force Awakens. 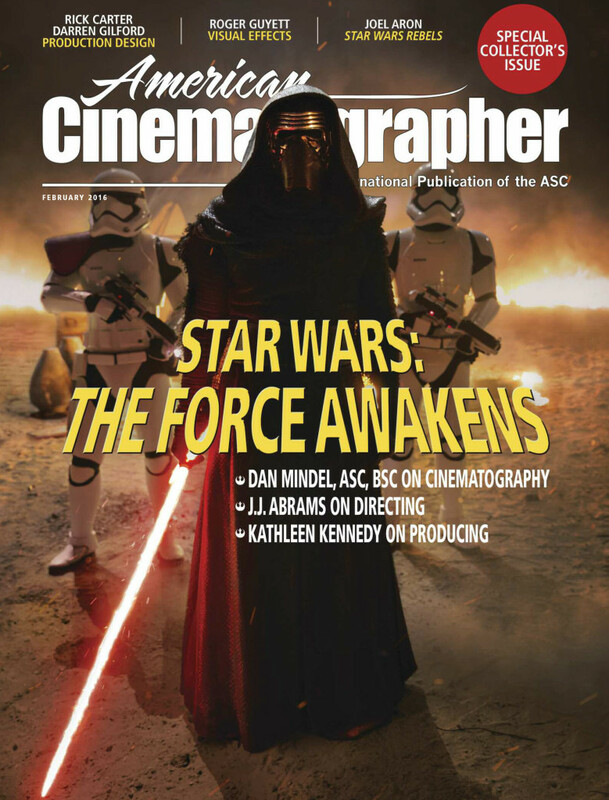 American Cinematographer’s February issue will be available for purchase at store.ascmag.com. 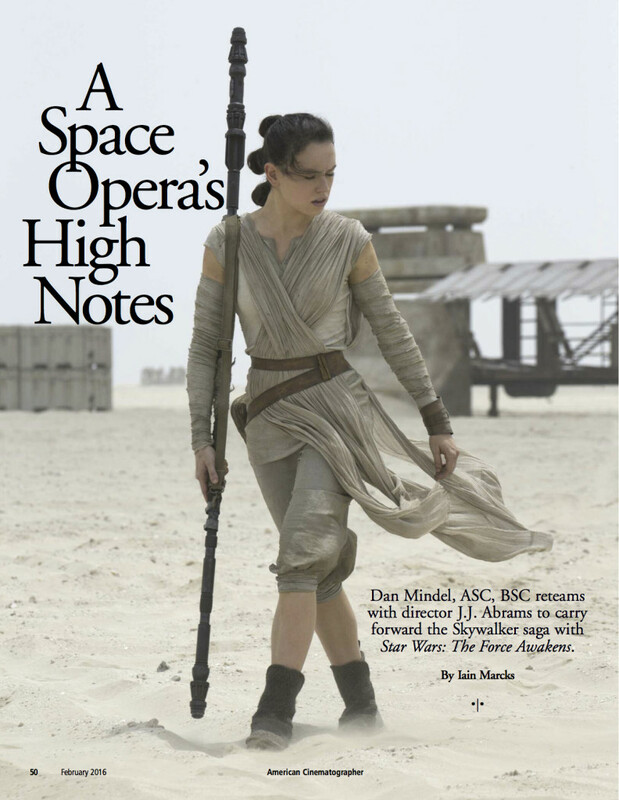 And to read AC’s past coverage of the Star Wars saga (for free! ), visit theasc.com. Jon D. Witmer is the managing editor of American Cinematographer. You can find him on Twitter @DangerDigest, and you can follow American Cinematographer @AmericanCine.